I have been drawn for our local state park deer reduction hunt again this year. It is one buck and 2 does, or 3 doe limit, 2 day hunt. I have taken many deer over the years here. I know the property well, over 3k acres. Firearm only, limited to low power rifle calibers like 44mag, 460sw, etc, muzzleloaders, and pistols like 357mag and up, as well as single shot pistols in hpr calibers. I have many choices, although I hoped to simplify the season with only a couple guns used. Also just got word today, a buddy and I got drawn for our local nature preserve deer hunt. Also 3 deer, antlerless only, 2 day hunt. Here we can use any hpr caliber and down. I have taken 10 deer in the last few years here, as well as the buddy coming with me, roughly same numbers. We are both loaded with choices. We will have to see. We are really looking forward to another year getting to help keep the population in check. These hunts are total and complete wild deer. The easy resident deer no longer reside making these just as challenging as any other hunt, just that these may be a little higher density in population. I have been skunked a time or two, so no "shooting fish in a barrel" comments please, lol. We have a donation program in our state. I have given a couple away over the years, but typically to people we know. Please come to my house and take the the 4-10 deer herd that is there every night and morning eating my plants. rkittine wrote: Please come to my house and take the the 4-10 deer herd that is there every night and morning eating my plants. Google Redwood Road, Sag Harbor, New York. I am on the water inside the village of Sag Harbor, on an island with a causeway that narrows to a small bridge. When I first built my house there were no deer on the island. Then they started swimming on and finally they just walk up the causeway and over the bridge as no one even tries to stop them. I don't both them either, but hence why I asked someone else to do it. Unfortunately we have a serious problem and the local government has hired professional hunters to thin the herd, but they can't seem to get ahead. Many treat deer here like welcome pets and feed them. They are not nocturnal and have no fear here and the experts say since they are up and active more of the day, they have a least two folds a year instead of one and hence the herd is really out of control. Couple that with the fact we are talking about small yards inside a village, all with grass lawns and lots of kids playing outside, Lyme Decease is a serious problem. Well, got outstanding news tonight at our safety meeting for the nature preserve hunt. 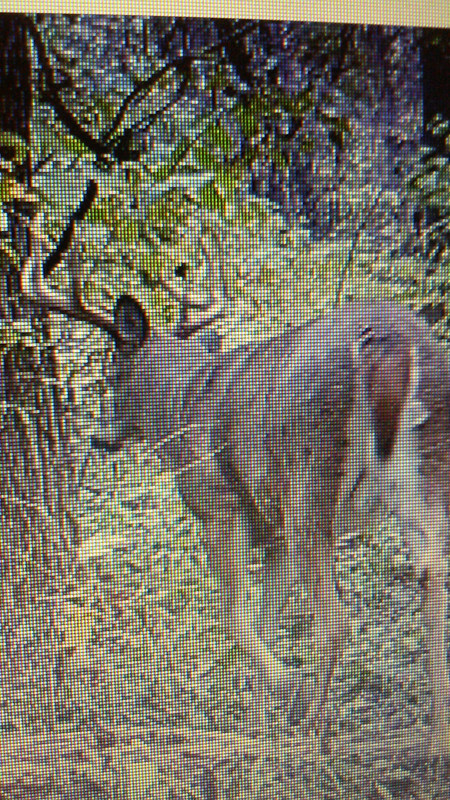 They decided we will get to take a buck this year! 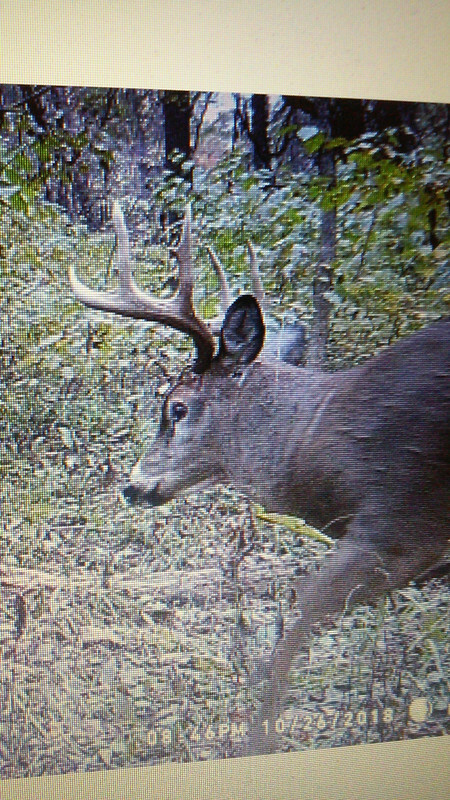 Last several years, lots of chatter from the hunters of only seeing bucks, or buck and doe. I have been pushing the issue with the director about a deer is a deer is a deer. Bucks do the same ecological damage, and car collision damage as does do. They were worried about trophy hunting. I talked about possibly an earn a buck policy. Shoot and check in a doe, then take a buck. They decided since every hunter (5) total has hunted here prior, and have taken several does, we would get a reward with straight up permission to take a buck, without issue. Nice. 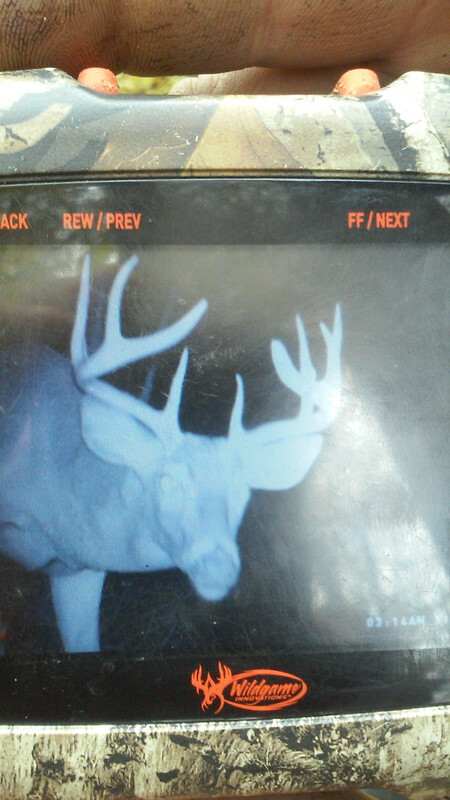 So, to honor that gesture, here is a trail cam pic from my zone this week. Lol. The camera time is flipped am to pm if you noticed. Hot dang, another big un!